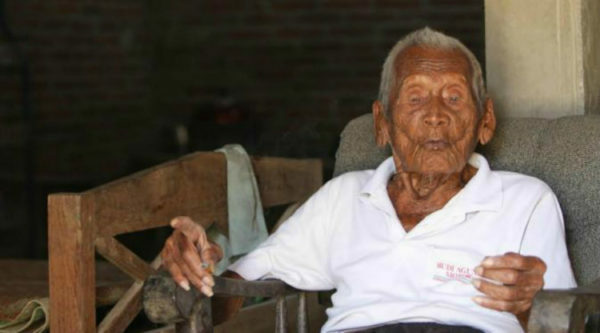 Many authorities did not believe Mbah Gotho who claimed to be 146 years old. 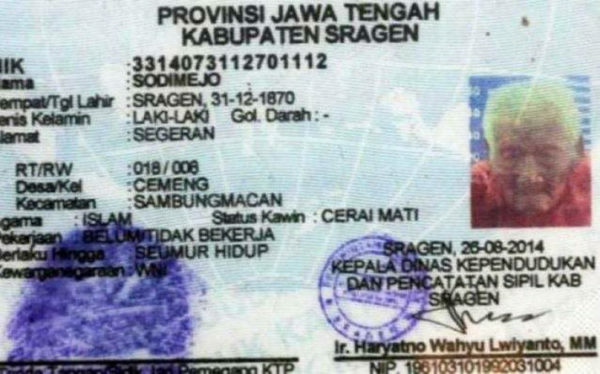 However, his date of birth was confirmed by the record office staff of Indonesia. The ID shows that Gotho was born on December 31, 1870 and will be 146 years old this year. Born and brought up in Indonesia, he has lived through the beginning and ending of many historical events, including the First and Second World Wars, Australia’s independence, construction of the Statue of Liberty, and the births and deaths of dictators such as Hitler, Lenin and Mussolini. According to the documentation recognized by the Indonesian officials, Mr. Gotho is now as good as a century and a half old. He has outlived 10 of his siblings, four of his wives (last of whom died in 1988), and all his children. He now lives with his grandchildren, great children and great great grandchildren! Mbah Gotho even bought his own gravestone back in 1992 and his family prepared a grave site for him near his children’s graves. He says that his grandchildren are all independent now and what he wants is to die. 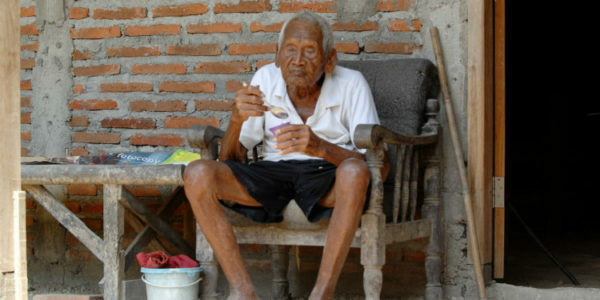 He has been preparing for his death ever since he was 122, but death hasn’t knocked his door yet. The oldest confirmed person so far was a French woman named Jeanne Calment that died at an age of 122 years and 164 days.